Clinton was the son of Admiral George Clinton who was a Governor of New York in the 1740s. Consequently young Henry spent much of his youth in America. His father eventually purchased him a captain's commission and he rose in rank to lieutenant colonel by the time of the French and Indian War, during which he fought in several battles in Europe. By 1775, Clinton was a major general and was informed he would be sent to Massachusetts to assist in putting down the rebellion. 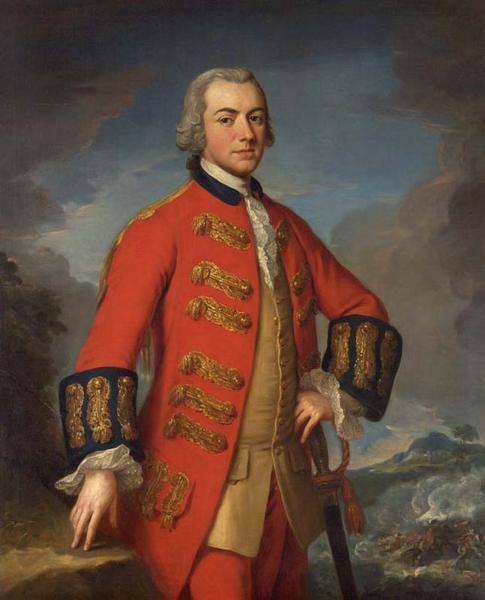 General Thomas Gage was then the commander of British troops in North America. Gage and Clinton did not get along from the start. Clinton often disagreed with Gage's tactical and strategic choices and was not afraid to give his opinion, constantly offering suggestions and criticisms and irritating Gage, who often disregarded him. Clinton was part of the Battle of Bunker Hill that led to the slaughter of 1,000 British soldiers, leading him to famously write that it was, “A dear bought victory, another such would have ruined us.” In January, 1776, he was given command of an expedition to invade the Carolinas. Gage refused to give him the officers he wanted. When he arrived in North Carolina, Clinton decided not to make a base of operations there when he learned of a Tory defeat at Moore's Bridge and made plans to attack Charleston, South Carolina, instead. no hat and holding a sword in the air. Assisted by Lieutenant General Charles Cornwallis and Admiral, Sir Peter Parker, the attack on Charleston was a dismal failure and Clinton returned to help General William Howe, who had replaced General Gage, take New York City. Clinton's plans were instrumental in taking Long Island, but again, his suggestions were continually rebuffed by Howe, who was generally more cautious than Clinton. 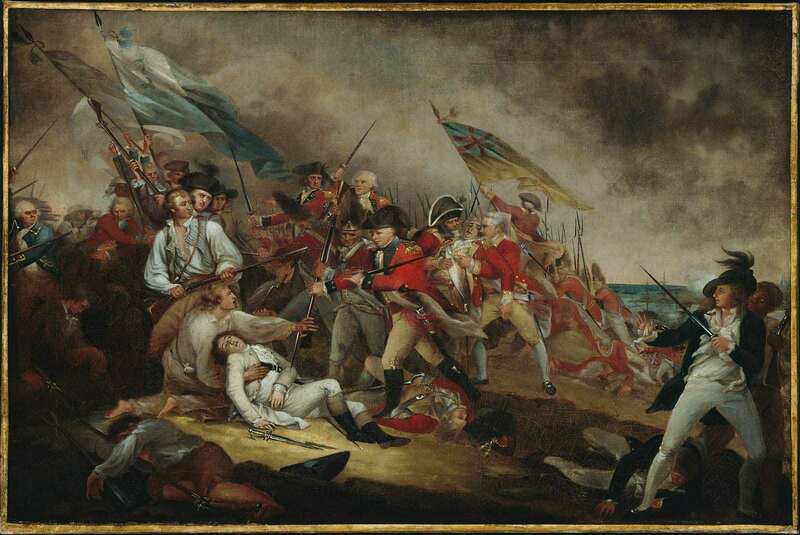 In 1777, plans were made to send an army under General John Burgoyne south from Quebec that would meet another army coming up from New York, to cut off the more rebellious New England from the rest of the colonies. General Howe, however, decided to take Philadelphia, instead of meeting up with Burgoyne. Gage left Clinton in charge in New York, frustrated and unable to help either group. Burgoyne's army was captured and Howe's nearly defeated at Germantown, causing him to resign. Henry Clinton was then appointed his replacement as Commander-in-Chief of North America. Clinton returned the army to New York and oversaw the exodus of troops to the West Indies to defend British interests there. He tried to resign numerous times, but was refused by the King. In late 1779, he adopted a southern strategy intended to take the less rebellious southern colonies and personally led the capture of Charleston and Major General Benjamin Lincoln's 5,000 man army in 1780. Clinton returned to New York after this and left Lieutenant General Charles Cornwallis in control. Cornwallis ultimately failed in recapturing the south and when he surrendered his army, Clinton received much of the blame.